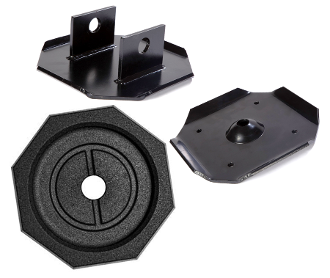 Snaps onto the Bigfoot 10" flanged octagonal footpad creating a larger surface area, softer compound for ground contact, and increased lift height! This contains one SnapPad for one 10" flanged octagonal footpad. Square leg or round leg cylinders.